It’s been a dream of the FREE Players Drum Corps and their director Brian Calhoun to perform at the Drum Corps International World Championships. The 65-member special needs performance ensemble from Old Bethpage, New York intends to make that dream a reality in the next two years. The corps, which consists of a drum line, color guard, front ensemble and drum major, is active year-round. Besides performing at halftime shows and local parades, the group has been consistently on the move. The FREE Players marched for the first time as part of the DCI Tour in 2015 when they performed at the DCI Eastern Classic in Allentown, Pennsylvania. They’ve also entertained at Disney World, as part of the WGI Sport of the Arts World Championships in Dayton, Ohio, and at the New York City Columbus Day Parade. Making the trip to Indianapolis will be a major undertaking for the corps. Calhoun says that the group announced the trip more than two years in advance to get a head start on fundraising. As part of that strategy the FREE Players recently launched a Go Fund Me campaign with a goal of raising $65,000 to help cover the cost of airfare, hotels, buses, meals and other expenses. In the meantime, members of the corps will be diligently working to assure an outstanding performance at Lucas Oil Stadium in 2018. “We really want to use this time to harness everyone’s talents and skills and help everybody in the entire corps reach the next level,” Calhoun said. The corps members’ passion for the marching arts is one that is shared with the entire drum corps community. 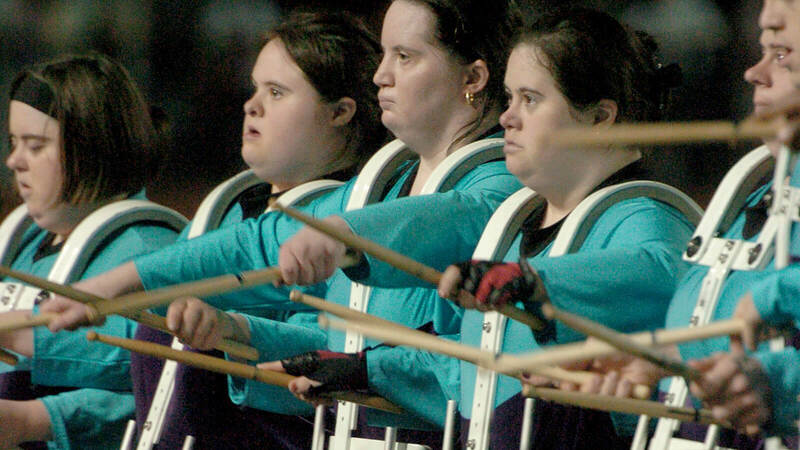 Every corps strives to be its best and this has a special meaning for the FREE Players Drum Corps. Learn more about the FREE Players Drum Corps and its fundraising campaign at GoFundMe.com.